Your search returned 234 matches. achatana [Denis & Schiffermuller], 1775 (Tortrix), Syst. Verz. Schmett. Wienergegend : 131. TL: Europe, Syntype(s): Unknown. unknown. marmorana Hubner, [1796-1799] (Tortrix), Samml. Eur. Schmett. "7: pl. 5, fig. 25." TL: Europe. Syntype(s): Unknown. unknown. marmorana Fabricius, 1798 (Pyralis ? ), Suppl. Entomologiae Systematicae : 477. TL: Germany. Saxonia. Syntype(s): Unknown. unknown. steveni Portchinskij, 1888 (Tortrix (Penthina)), Sel'sk. Khoz. Lesoved. 10: 124. TL: Russia. Syntype(s): Unknown. unknown. acromochla Turner, 1946 (Acroclita), Trans. R. Soc. S. Austral. 70: 199. TL: Australia, Western Kalamundu. Holotype: QMB. female. albacostana Kearfott, 1905 (Ancylis), Proc. U.S. natn. Mus. 28: 360. TL: USA, Colorado. Lectotype: AMNH. female. albafascia Heinrich, 1929 (Ancylis), Proc. U.S. natn. Mus. 75: 19. TL: USA, "California, Tulare Co., Mineral King". Holotype: USNM. male. amplimacula Falkovitsh, 1965 (Ancylis), Ent. Obozr. 44: 423. TL: Russia, "Far East, Primorsky Krai, Ussuriysk". Holotype: ZISP. female. ancorata Meyrick, 1912 (Ancylis), J. Bombay Nat. Hist. Soc. 21: 862. TL: Sri Lanka, Ceylon [Sri Lanka] (Kegalle). Lectotype: BMNH. female. anguillana Meyrick, 1881 (Palaeobia), Proc. Linn. Soc. N. S. W. 6: 662. TL: Australia, "New South Wales, near Parramatta". Syntype(s): BMNH. female. anoteros Razowski & Pelz, 2011 (Ancylis), SHILAP Revta. Lepid. 39: 44. TL: Ecuador, "Pichincha Province, 2.5 km SE Santa Rosa, Reserva Las Gralarias". Holotype: SMFL. male. anthophanes Meyrick, 1928 (Ancylis), Exotic Microlepid. 3: 438. TL: Papua New Guinea, New Britain/New Ireland/New Hanover. Syntypes: Unknown. "male, female". anthracaspis "Meyrick, in Caradja", 1931 (Ancylis), Bull. Sect. scient. Acad. roum 14: 64. TL: China, Kwanshien. Lectotype: BMNH. male. apicana Walker, 1866 (Grapholita), List Specimens lepid. Insects Colln. Br. Mus. 35: 1795. TL: Canada, Nova Scotia. Holotype: BMNH. female. apicella [Denis & Schiffermuller], 1775 (Tortrix), Syst. Verz. Schmett. Wienergegend : 136. TL: Austria, Syntype(s): Unknown. unknown. alpina Weber, 1936 (Ancylis siculana ab. ), Mitt. schweiz. ent. Ges 16: 667. TL: Switzerland. Holotype: ZZSS. unknown. plumbana Fabricius, 1787 (Pyralis), Mantissa Insectorum 2: 225. TL: Europe. Syntype(s): Unknown. unknown. siculana Hubner, [1796-1799] (Tortrix), Samml. Eur. Schmett. "7: pl. 13, fig. 79." TL: Europe. Syntype(s): Unknown. unknown. apicipicta Oku, 2005 (Ancylis), Tinea 18 (supplement 3): 104. TL: Japan, "Honshu, Iwate Prefecture, Kadoma 3 gme, Mt. Hayachine, Kawai Village". Holotype: EIHU. male. arcitenens Meyrick, 1922 (Ancylis), Exotic Microlepid. 2: 514. TL: China, "Kiangsu Province, Shanghai". Holotype: MNHN. female. argenticiliana Walsingham, 1897 (Ancylis), Trans. ent. Soc. Lond. 1897: 57. TL: Congo, "French Congo [Congo] (Kangw, Ogow River)". Holotype: BMNH. male. argillacea Turner, 1916 (Lamyrodes), Trans. R. Soc. S. Austral. 40: 505. TL: Australia, "New South Wales, Glen Innes". Holotype: ANIC. male. aromatias Meyrick, 1912 (Ancylis), Exotic Microlepid. 1: 31. TL: India, "Madras, North Coorg". Lectotype: BMNH. male. cyanostoma Meyrick, 1916 (Ancylis), Exotic Microlepid. 2: 16. TL: India. "Bengal, Pusa". Lectotype: BMNH. female. artifica Meyrick, 1911 (Acroclita), Proc. Linn. Soc. N. S. W. 36: 237. TL: Australia, "Queensland, Brisbane". Syntype(s): BMNH. male. atricapilla Meyrick, 1917 (Eucosma), Trans. ent. Soc. Lond. 1917: 21. TL: Guyana, British Guiana [Guyana]. Holotype: BMNH. female. badiana [Denis & Schiffermuller], 1775 (Tortrix), Syst. Verz. Schmett. Wienergegend : 126. TL: Europe, Syntype(s): Unknown. unknown. corylana Hubner, 1793 (Phalaena (Tortrix )), Samml. auser. Vgel Schmett : 12. TL: Europe. Syntype(s): Unknown. unknown. lannemezanella Dufrane, 1955 (Ancylis lundana ssp. ), Bull. Inst. R. Sci. Nat. Belg. 31 (33): 3. TL: France. Pyrnes. Holotype: IRSN. unknown. lundana Fabricius, 1776 (Pyralis), Genera Insectorum : 294. TL: Germany. Syntype(s): Unknown. unknown. rhusiana Fuchs, 1903 (Ancylis lundana var. ), Stettin. ent. Ztg. 64: 8. TL: Turkey. Konia. Syntype(s): Unknown. unknown. sepusiensis Reiprich, 1988 (Ancylis), Stapfia 16: 291. TL: Slovakia. Slovensk raj-Congov. Holotype: SNMB. female. barabashi Trematerra & Li, 2009 (Ancylis), Boll. Zool. Agric. Bachic. (II) 41 (2): 66. TL: Russia, "Far East, Progranitchnyj R., Barabash-Levada". Holotype: TREMC. male. bauhiniae Busck, 1934 (Ancylis), Ent. Am. 13: 155. TL: Cuba, Cuba (Santiago de Vegas). Holotype: USNM. male. biscissana Meyrick, 1881 (Holocola), Proc. Linn. Soc. N. S. W. 6: 674. TL: Australia, "New South Wales, Sydney". Syntypes: BMNH. male. brauni Heinrich, 1931 (Anchylopera), Proc. U.S. natn. Mus. 79: 11. TL: USA, "Ohio, Adams Co., Beaver Pond". Holotype: USNM. male. brevuncus Razowski & Pelz, 2011 (Ancylis), SHILAP Revta. Lepid. 39: 45. TL: Ecuador, "Morona-Santiago Province, Macas, Proano - Alshi, 5 km SW Alshi". Holotype: SMFL. male. bucovinella Peiu & Nemes, 1969 (Ancylis), Communicari Zool. Bucuresti 7: 166. TL: Romania, Poiana Stampei. Holotype: MGAB. unknown. burgessiana Zeller, 1875 (Anchylopera), Verh. zool.-bot. Ges. Wien 25: 252. TL: USA, "Massachusetts, Beverly". Syntype(s): USNM. female. murtfeldtiana Riley, 1881 (Phoxopteris), Trans. St. Louis Acad. Sci 4: 323. TL: USA. Missouri. Syntype(s): USNM. 1 male. pruni Heinrich, 1923 (Anchylopera burgessiana ssp. ), Bull. U.S. natn. Mus. 123: 239. TL: USA. "New Jersey, Caldwell". Holotype: USNM. male. carpalima Meyrick, 1911 (Acroclita), Proc. Linn. Soc. N. S. W. 36: 244. TL: Australia, "Queensland, Cairns". Holotype: BMNH. male. caudifer Stringer, 1929 (Ancylis), Ann. Mag. nat. Hist. (10)3: 27 TL: India, Assam. Holotype: BMNH. unknown. celerata Meyrick, 1912 (Eucosma), J. Bombay Nat. Hist. Soc. 21: 863. TL: India, "North Coorg, Dibidi". Lectotype: BMNH. male. charisema Meyrick, 1934 (Ancylis), Exotic Microlepid. 4: 484. TL: Fiji Islands, Fiji (Vunidawa). Holotype: BMNH. female. christiandiana Huemer and Wiesmair, 2016 (Ancylis), Zootaxa 4178: 364. TL: Austria, "Karnten Griffen, Griffener See". Holotype: TLMF. male. 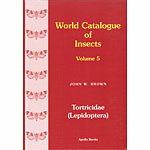 colaccii Razowski & Trematerra, 2012 (Ancylis), Journal of Entomological and Acarological Research 44: 39. TL: Ethiopia, "Wellega, Didessa River". Holotype: TREMC. male. colonota Meyrick, 1911 (Acroclita), Proc. Linn. Soc. N. S. W. 36: 238. TL: Australia, "Western , Perth". Syntype(s): BMNH. male. hemiochra Turner, 1946 (Acroclita), Trans. R. Soc. S. Austral. 70: 197. TL: Australia. "Western , Denmark". Holotype: QMB. male. columbiana McDunnough, 1955 (Anchylopera), Am. Mus. Novit. 1725: 10. TL: Canada, "British Columbia, Penticton". Holotype: CNC. male. comptana Frolich, 1828 (Tortrix), Enum. Tortr. Wrtemberg : 99. TL: Germany, Wrtemburg. Syntype(s): Unknown. unknown. amblygona Zeller, 1875 (Phoxopteris), Verh. zool.-bot. Ges. Wien 25: 259. TL: USA. Washington. Holotype: BMNH. unknown. cometana Walsingham, 1879 (Phoxopteryx), Illust. typical Specimens Lepid. Heterocera Colln. Br. Mus 4: 74. TL: USA. "California, Mendocino Co.". Holotype: BMNH. unknown. conflexana Walker, 1863 (Grapholita), List Specimens lepid. Insects Colln. Br. Mus 28: 384. TL: Canada. Nova Scotia. Holotype: BMNH. unknown. floridana Zeller, 1875 (Phoxopteris), Verh. zool.-bot. Ges. Wien 25: 258. TL: USA. Ohio. Holotype: BMNH. unknown. fragariae Walsh & Riley, 1869 (Anchylopera), Am. Ent. 1: 89. TL: USA. Illinois. Lectotype: USNM. female. incomptana de la Harpe, 1858 (Phoxopteryx), Nouv. Mm. Soc. Helv. Sci. Nat. 16: 120. TL: Switzerland. Syntype(s): MZL. unknown. lamiana Clemens, 1864 (Anchylopera), Proc. ent. Soc. Philad. 3: 513. TL: USA. "Maine, Brunswick". Lectotype: ANSP. female. pulchellana Clemens, 1864 (Anchylopera), Proc. ent. Soc. Philad. 3: 511. TL: USA. Virginia. Holotype: ANSP. unknown. sculpta Meyrick, 1912 (Ancylis), Exotic Microlepid. 1: 33. TL: Korea. Port Hamilton. Holotype: BMNH. male. comptanoides Strand, 1920 (Ancylis), Archiv f. Naturgesch. (A) 85(4)(1919): 57 TL: Norway, Lillestrmmen. Holotype: DEIB. female. convergens Diakonoff, 1984 (Ancylis), Ent. Basil. 9: 405. TL: Indonesia, "Sumba, Melolo". Holotype: NHMB. female. cordiae Busck, 1934 (Ancylis), Ent. Am. 13: 54. TL: Cuba, "Cuba (Havana, Santiago de Vegas)". Holotype: USNM. male. cornifoliana Riley, 1881 (Phoxopteris), Trans. St. Louis Acad. Sci 4: 324. TL: USA, "Kansas, Manhattan". Syntype(s): USNM. 1 male. coronopa Meyrick, 1911 (Acroclita), Proc. Linn. Soc. N. S. W. 36: 237. TL: Australia, "Victoria, Beaconsfield". Holotype: NMVA. male. corylicolana Kuznetzov, 1962 (Ancylis), Trud. Zool. Inst. Leningrad 30: 342. TL: Russia, "Far East, Amur-Zeya". Holotype: ZISP. male. definitivana Heinrich, 1923 (Anchylopera), Bull. U.S. natn. Mus. 123: 270. TL: USA, Nevada. Holotype: USNM. male. diminuatana Kearfott, 1905 (Ancylis), Proc. U.S. natn. Mus. 28: 361. TL: USA, "New Jersey, Caldwell". Lectotype: AMNH. female. diminutana Haworth, 1811 (Tortrix), Lepid. Br. (3): 452. TL: United Kingdom, Great Britain. Syntype(s): BMNH. unknown. cuspidana Treitschke, 1830 (Phoxopteris), Schmett. Eur. 8: 236. TL: Hungary / Germany. Lectotype: TMB. male. discigerana Walker, 1863 (Grapholita), List Specimens lepid. Insects Colln. Br. Mus 28: 384. TL: Canada, Nova Scotia. Syntype(s): BMNH. male. divisana Walker, 1863 (Grapholita), List Specimens lepid. Insects Colln. Br. Mus 28: 385. TL: Canada, Nova Scotia. Holotype: BMNH. unknown. ecuadorica Razowski & Wojtusiak, 2009 (Ancylis), Acta Zool. Cracov. 51B: 160. TL: Ecuador, "Prov. Morona-Santiago, N. P. Sangay, Qda. Shillnan, via Guamote-Macas". Holotype: MZUJ. female. enneametra Meyrick, 1927 (Ancylis), Insects Samoa 3 (2): 72. TL: Samoan Islands, "Upolu, Apia". Holotype: BMNH. female. erythrana Meyrick, 1881 (Palaeobia), Proc. Linn. Soc. N. S. W. 6: 664. TL: Australia, "New South Wales, Sydney". Holotype: BMNH. male. erythrosema Turner, 1945 (Capua), Trans. R. Soc. S. Austral. 69: 57. TL: Australia, "Western , Bunbury". Lectotype: ANIC. female. erythrotypa Turner, 1946 (Acroclita), Trans. R. Soc. S. Austral. 70: 198. TL: Australia. "Western , Albany". Holotype: ANIC. female. ochrophara Turner, 1946 (Acroclita), Trans. R. Soc. S. Austral. 70: 198. TL: Australia. "Western , Albany". Lectotype: QMB. male. falcata Walsingham, 1891 (Phoxoperis), Trans. ent. Soc. Lond. 1891: 75. TL: Gambia, Gambia (Bathurst). Syntypes: BMNH. 1 female. falsicoma Meyrick, 1914 (Ancylis), Ann. Transvaal Mus. 4: 188. TL: South Africa, "Transvaal, Pretoria". Syntypes: DNMNH. 1 female. fergusoni McDunnough, 1958 (Anchylopera subaequana ssp. ), Am. Mus. Novit. 1917: 9. TL: USA, "New Jersey, Lakehurst". Holotype: AMNH. male. fidana Meyrick, 1881 (Palaeobia), Proc. Linn. Soc. N. S. W. 6: 667. TL: Australia, "New South Wales, Sydney". Syntype(s): BMNH. male. forsterana Bachmaier, 1965 (Ancylis tineana ssp. ), Verff. Zool. Staatsamml. Mnchen 9: 87. TL: Germany, Holotype: Unknown. unknown. leucophaleratana Packard, 1866 (Pandemis), Proc. Boston Soc. Nat. Hist. 11: 56. TL: Canada. Labrador. Syntype(s): MCZ: 1. unknown. fuscociliana Clemens, 1864 (Anchylopera), Proc. ent. Soc. Philad. 3: 512. TL: USA, Virginia. Lectotype: ANSP. female. dubiana Clemens, 1864 (Anchylopera), Proc. ent. Soc. Philad. 3: 512. TL: USA. Virginia. Holotype: ANSP. male. galeamatana McDunnough, 1956 (Anchylopera), Am. Mus. Novit. 1789: 11. TL: Canada, "Nova Scotia, Queens County, White Point Beach". Holotype: CNC. male. geminana Donovan,  (Phalaena), Nat. Hist. Br. Insects 11: 29. TL: United Kingdom, England [United Kingdom]. Syntype(s): BMNH. unknown. biarcuana Stephens, 1834 (Anchylopera), Illust. Br. Ent. (Haustellata) 4: 113. TL: United Kingdom. England [United Kingdom]. Syntype(s): BMNH. unknown. crenana "Duponchel, in Godart", 1835 (Phoxopterix), Hist. nat. Lpid. Papillons Fr. 9: 334. TL: France. Holotype: MNHN. unknown. fluctigerana Herrich-Schaffer, 1851 (Tortrix (Phoxopteryx)), Syst. Bearbeitung Schmett. Eur. 4: 286. TL: Germany. Syntype(s): Unknown. unknown. inornatana Herrich-Schaffer, 1851 (Tortrix (Phoxopteryx)), Syst. Bearbeitung Schmett. Eur. 4: 287. TL: Europe. Syntype(s): Unknown. unknown. gigas Razowski, 2009 (Ancylis), SHILAP Revta. Lepid. 37: 126. TL: Vietnam, Fan Si Pan. Holotype: MNHU. female. glycyphaga Meyrick, 1912 (Ancylis), Exotic Microlepid. 1: 32. TL: India, "Bengal, Pusa". Lectotype: BMNH. female. goodelliana Fernald, 1882 (Phoxopteris), Trans. Am. ent. Soc 10: 69. TL: USA, "Maine, New Hampshire, or Massachusetts". Lectotype: USNM. male. habeleri Huemer & Tarmann, 1997 (Ancylis), Verff. Tiroler LandeSammlung Ferdinandeum 77: 210. TL: Austria, Tirol. Holotype: TLMF. male. halisparta Meyrick, 1910 (Ancylis), Ann. Transvaal Mus. 2 (1909): 6. TL: South Africa, "Transvaal, Zoutpansberg District, Warm-berg". Holotype: DNMNH. female. hemicatharta "Meyrick, in Caradja & Meyrick", 1935 (Ancylis), Mat. Microlepid. Fauna Chin. Prov. : 54. TL: China, Tien-Mu-Shan. Holotype: BMNH. male. hibbertiana Meyrick, 1881 (Palaeobia), Proc. Linn. Soc. N. S. W. 6: 665. TL: Australia, "New South Wales, Sydney". Syntype(s): BMNH. male. himerodana Meyrick, 1881 (Palaeobia), Proc. Linn. Soc. N. S. W. 6: 666. TL: Australia, "New South Wales, Murrurundi". Syntype(s): BMNH. 1 male. hygroberylla Meyrick in Caradja & Meyrick, 1937 (Eucosma), Dt. ent. Z. Iris 51: 180. TL: China, "North Yunnan Province, Likiang". Lectotype: MGAB. female. hylaea Meyrick, 1912 (Ancylis), Exotic Microlepid. 1: 31. TL: India, "Assam, Khasi Hills". Lectotype: BMNH. male. sasakii Matsumura, 1917 (Cerostoma), y Konchgaku : 500. TL: Japan. Honshu. Holotype: EIHU. unknown. impatiens Meyrick, 1921 (Eucosma), Ann. Transvaal Mus. 8: 54. TL: Mozambique, Portuguese East Africa [Mozambique] (Magude). Holotype: DNMNH. male. infectana Meyrick, 1881 (Palaeobia), Proc. Linn. Soc. N. S. W. 6: 663. TL: Australia, "New South Wales, Sydney". Syntype(s): BMNH. male. intrusa Razowski & Wojtusiak, 2012 (Ancylis), Acta Zool. Cracov. 55: 84. TL: Nigeria, "Bendel State, Okomu Forest Reserve". Holotype: MZUJ. female. karafutonis Matsumura, 1911 (Ancylis), J. Coll. Tohoku Imp. Univ. 4: 59. TL: Russia, "Sakhalin, Tonnaitcha". Lectotype: EIHU. male. kenneli Kuznetzov, 1962 (Ancylis), Trud. Zool. Inst. Leningrad 30: 344. TL: Russia, "Far East, Amur Region, Klimoutsy, 40 km W Svo-bondyy". Holotype: ZISP. female. kincaidiana Fernald, 1900 (Phoxopteris), Proc. Wash. Acad. Sci 2: 500. TL: USA, "Alaska, Metlakahtla". Holotype: USNM. male. kurentzovi Kuznetzov, 1969 (Ancylis), Ent. Obozr. 48: 362. TL: Russia, "Far East, Primorsky Krai, Suchan". Holotype: ZISP. male. laciniana Zeller, 1875 (Anchylopera), Verh. zool.-bot. Ges. Wien 25: 253. TL: USA, Massachusetts. Syntype(s): USNM. 1 male. laetana Fabricius, 1775 (Pyralis), Systema Entomologiae : 649. TL: Sweden, Syntype(s): Unknown. unknown. harpana Hubner, [1796-1799] (Tortrix), Samml. Eur. Schmett. "7: pl. 13, fig. 77." TL: Europe. Syntype(s): Unknown. unknown. limosa Oku, 2005 (Ancylis), Tinea 18 (supplement 3): 104. "Honshu, Iwate Prefecture, Hebizuka, Tamayama Village". Holotype: EIHU. male. loktini Kuznetzov, 1969 (Ancylis), Ent. Obozr. 48: 353. TL: Russia, "Far East, Primorsky Krai, Ussuriysk area". Holotype: ZISP. male. lomholdti Kawabe, 1989 (Ancylis), Microlepid. Thailand 2: 50. TL: Thailand, "Loei Province, Phu Luang Wildlife Sanctuary". Holotype: OPU. male. longestriata Durrant, 1891 (Palaeobia), Proc. Linn. Soc. N. S. W. (2) 6: 17. TL: Australia, "New South Wales, Mt. Kosciusko and Tumut.". Syntypes: BMNH. "male, female". luana de la Harpe, 1864 (Phoxopteryx), Nouv. Mm. Soc. Helv. Sci. Nat. 20: 76. TL: Switzerland, Syntype(s): MZL. unknown. lyellana Curtis, 1831 (Anchylopera), Br. Ent. 6: folio 376. TL: United Kingdom. Great Britain (Scotland). Syntype(s): DEMV. unknown. unidentata Strand, 1901 (Anchylopera myrtillana form), Nyt Mag. Naturvid. 39: 69. TL: Norway. Syntype(s): Unknown. unknown. lutescens Meyrick, 1912 (Ancylis), Exotic Microlepid. 1: 32. TL: India, "Bengal, Pusa". Lectotype: BMNH. male. mandarinana Walsingham, 1900 (Anchylopera), Ann. Mag. nat. Hist. (7)6: 440 TL: China, East China (Ningpoo). Holotype: BMNH. male. maritima Dyar, 1904 (Ancylis), Proc. ent. Soc. Wash. 6: 221. TL: USA, "Rhode Island, Weekapaugh". Syntypes (8): USNM. unknown. mediofasciana Clemens, 1864 (Anchylopera), Proc. ent. Soc. Philad. 3: 511. TL: USA, Maine. Holotype: ANSP. unknown. melanostigma Kuznetzov, 1970 (Ancylis), Ent. Obozr. 49: 436. TL: Russia, "Primorsky Krai, Suputinky Reservation". Holotype: ZISP. male. mesoscia Meyrick, 1911 (Acroclita), Proc. Linn. Soc. N. S. W. 36: 235. TL: Australia, Wandin. Holotype: DEMV. male. metamelana Walker, 1863 (Grapholita), List Specimens lepid. Insects Colln. Br. Mus 28: 385. TL: North America, Holotype: BMNH. female. angulifasciana Zeller, 1875 (Phoxopteris), Verh. zool.-bot. Ges. Wien 25: 256. TL: USA. Ohio. Holotype: BMNH. unknown. discoferana Walker, 1863 (Grapholita), List Specimens lepid. Insects Colln. Br. Mus 28: 386. TL: North America. Holotype: BMNH. male. intermediana Kearfott, 1907 (Ancylis), Trans. Am. ent. Soc 33: 56. TL: Canada. "British Columbia, Wellington". Lectotype: AMNH. male. micta Razowski & Wojtusiak, 2013 (Ancylis), Acta Zool. Cracov. 56: 26. TL: Venezuela, "Estado Trujillo, Sector Canadas, El Bajo". Holotype: MZUJ. male. minimana Caradja, 1916 (Anchylopera), Dt. ent. Z. Iris 30: 71. TL: Russia, Uralsk. Lectotype: MGAB. male. mira Heinrich, 1929 (Ancylis), Proc. U.S. natn. Mus. 75: 17. TL: USA, "Colorado, Jefferson Co., Chimney Gulch, Golden". Holotype: USNM. male. furvescens Heinrich, 1929 (Anchylopera mira ssp. ), Proc. U.S. natn. Mus. 75: 18. TL: USA. "Connecticut, New Haven". Holotype: AMNH. male. mitterbacheriana [Denis & Schiffermuller], 1775 (Tortrix), Syst. Verz. Schmett. Wienergegend : 129. TL: Austria, Vienna. Syntype(s): Unknown. unknown. subuncana Haworth, 1811 (Tortrix), Lepid. Br. (3): 453. TL: United Kingdom. Great Britain. Syntype(s): BMNH. unknown. muricana Walsingham, 1879 (Phoxopteryx), Illust. typical Specimens Lepid. Heterocera Colln. Br. Mus 4: 74. TL: USA, "Washington, DC". Syntype(s): BMNH. unknown. myrtillana Treitschke, 1830 (Phoxopteryx), Schmett. Eur. 8: 245. TL: Germany, Lectotype: TMB. female. bidentana Strand, 1901 (Anchylopera myrtillana form), Nyt Mag. Naturvid. 39: 69. TL: Norway. Syntype(s): Unknown. unknown. coeneni Gibeaux, 1985 (Ancylis myrtillana ssp. ), Ent. Gall. 1 (4): 274. TL: France. "Haute-Alpes, col du Lautaret, Serre-Orel". Holotype: CGAC. male. dentana de la Harpe, 1858 (Phoxopteryx), Nouv. Mm. Soc. Helv. Sci. Nat. 16: 118. TL: Switzerland. Syntype(s): MZL. unknown. distracta Strand, 1901 (Anchylopera myrtillana form), Nyt Mag. Naturvid. 39: 69. TL: Norway. Syntype(s): Unknown. unknown. natalana Walsingham, 1881 (Phoxopteris), Trans. ent. Soc. Lond. 1881: 233. TL: South Africa, Natal. Holotype: SAMC. unknown. nemorana Kuznetzov, 1969 (Ancylis), Ent. Obozr. 48: 361. TL: Russia, "Kuril Islands, Kunashir Island, near Sernovodsk". Holotype: ZISP. male. nomica Walsingham, 1914 (Ancylis), Biol. Centr.-Am. Lepid. Heterocera 4: 225. TL: Mexico, "Guerrero, Amula". Holotype: BMNH. male. nubeculana Clemens, 1860 (Anchylopera), Proc. Acad. Nat. Sci. Philad 12: 349. TL: USA, Pennsylvania. Lectotype: ANSP. male. obtusana Haworth, 1811 (Tortrix), Lepid. Br. (3): 453. TL: United Kingdom, Great Britain. Syntype(s): BMNH. unknown. consobrinana Curtis, 1831 (Anchylopera), Br. Ent. 6: folio 376. TL: United Kingdom. Great Britain. Syntype(s): DEMV. unknown. distortana Guenee, 1845 (Grapholitha), Annls Soc. ent. Fr. (2) 3: 170. TL: France. Paris. Syntype(s): MNHN. unknown. segmentana Herrich-Schaffer, 1851 (Tortrix (Steganoptycha)), Syst. Bearbeitung Schmett. Eur. 4: 283. TL: Europe. Syntype(s): Unknown. unknown. oculifera Walsingham, 1891 (Phoxopteris), Trans. ent. Soc. Lond. 1891: 75. TL: Gambia, Gambia (Bathurst). Holotype: BMNH. female. oestobola Diakonoff, 1984 (Ancylis), Ent. Basil. 9: 401. TL: Indonesia, "Sumba, Pogobina". Holotype: NHMB. male. oregonensis Gilligan and Huemer, 2016 (Ancylis), Zootaxa 4178: 362. TL: USA, "Oregon, Klamath Co., Crescent Lake". Holotype: USNM. male. pacificana Walsingham, 1879 (Phoxopteryx), Illust. typical Specimens Lepid. Heterocera Colln. Br. Mus 4: 73. TL: USA, "California, Mendocino Co.". Holotype: BMNH. unknown. paludana Barrett, 1871 (Phoxopteryx), Ent. mon. Mag. 8: 134. TL: United Kingdom, Great Britain. Syntype(s): BMNH. unknown. partitana Christoph, 1882 (Phoxopteryx), Bull. Soc. Imp. Nat. Moscou 56 (4) (1881): 430. TL: Russia, Holotype: IZAS. female. phileris Meyrick, 1910 (Lamyrodes), Proc. Linn. Soc. N. S. W. 35: 182. TL: Australia, "South , Mount Lofty". Holotype: BMNH. male. platanana Clemens, 1860 (Anchylopera), Proc. Acad. Nat. Sci. Philad. 12: 349. TL: USA, Pennsylvania. Lectotype: ANSP. male. marcidana Zeller, 1875 (Phoxopteris), Verh. zool.-bot. Ges. Wien 25: 260. TL: USA. "Texas, Dallas". Syntype(s): MCZ: 1. unknown. plumbata Clarke, 1951 (Anchylopera), J. Wash. Acad. Sci. 41: 296. TL: Argentina, Tigre. Holotype: USNM. male. pseustis Meyrick, 1911 (Acroclita), Proc. Linn. Soc. N. S. W. 36: 239. TL: Australia, "South , Adelaide". Lectotype: BMNH. male. repandana Kennel, 1901 (Ancylis), Dt. ent. Z. Iris 13 (1900): 303. TL: Russia, Amur. Holotype: MNHU. female. rhenana Muller-Rutz, 1920 (Ancylis), Mitt. ent. Zurich 5: 339. TL: Switzerland, Holotype: NHMB. unknown. rhoderana McDunnough, 1954 (Anchylopera), Am. Mus. Novit. 1686: 2. TL: Canada, "Nova Scotia, Point Pleasant Park, Halifax". Holotype: AMNH. male. rimosa Meyrick, 1921 (Ancylis), Ann. Transvaal Mus. 8: 53. TL: Zimbabwe, Rhodesia [Zimbabwe] (Umvuma). Holotype: DNMNH. male. saliana Gilligan and Huemer, 2016 (Ancylis), Zootaxa 4178: 367. TL: USA, "Florida, Putnam Co., Palatka". Holotype: MEM. male. sativa Liu, 1979 (Ancylis (Anchylopera)), Acta ent. sin. 22: 90 TL: China, Beijing. Holotype: IZAS. female. sciodelta Meyrick, 1921 (Acroclita), Exotic Microlepid. 2: 446. TL: Australia, "Western , Yallingup". Holotype: BMNH. female. glycypolia Turner, 1945 (Capua), Trans. R. Soc. S. Austral. 69: 58. TL: Australia. "Western , Margaret River". Holotype: ANIC. male. rubrisignis Turner, 1946 (Acroclita), Trans. R. Soc. S. Austral. 70: 198. TL: Australia. "Western , Busselton". Holotype: ANIC. female. sederana Chretien, 1915 (Ancylis), Annls Soc. ent. Fr. 84: 308. TL: Algeria, North Africa (Biskra/Gafsa) [Algeria]. Syntypes: MNHN. "male, female". segetana Meyrick, 1881 (Palaeobia), Proc. Linn. Soc. N. S. W. 6: 669. TL: Australia, "Victoria, Warrangul, Gippsland". Holotype: BMNH. male. selenana Guenee, 1845 (Phoxopteryx), Annls Soc. ent. Fr. (2) 3: 170. TL: France, Syntype(s): MNHN. unknown. curvana Zeller, 1849 (Phoxopteryx), Stettin. ent. Ztg. 10: 282. TL: Europe. Holotype: BMNH. unknown. semiovana Zeller, 1875 (Phoxopteris), Verh. zool.-bot. Ges. Wien 25: 250. TL: USA, New York. Holotype: BMNH. unknown. shastensis McDunnough, 1955 (Anchylopera columbiana ssp. ), Am. Mus. Novit. 1725: 12. TL: USA, "California, Siskiyou Co., Shasta Retreat". Holotype: USNM. male. sheppardana McDunnough, 1956 (Anchylopera), Am. Mus. Novit. 1789: 13. TL: Canada, "Quebec, Montral". Holotype: CNC. male. simuloides McDunnough, 1955 (Anchylopera), Am. Mus. Novit. 1725: 13. TL: Canada, "British Columbia, Peachland, Deep Creek". Holotype: CNC. male. litoris McDunnough, 1955 (Anchylopera simuloides ssp. ), Am. Mus. Novit. 1725: 15. TL: USA. "California, Carmel". Holotype: CNC. male. sierrae McDunnough, 1955 (Anchylopera simuloides ssp. ), Am. Mus. Novit. 1725: 14. TL: USA. "California, Tulare Co., Mineral King". Holotype: USNM. male. sophroniella Walsingham, 1907 (Ancylis), Ent. mon. Mag. 43: 150. TL: Algeria, Algeria (Hammam-es-Sarahin). Syntypes: BMNH. 1 male 1 female. sparulana Staudinger, 1859 (Phoxopteryx), Stettin. ent. Ztg. 20: 234. TL: Spain, Chiclana. Lectotype: MNHU. male. spinicola Meyrick, 1927 (Ancylis), Boll. Soc. ent. Ital. 59: 107. TL: Somalia, Syntype(s): Unknown. unknown. spiraeifoliana Clemens, 1860 (Anchylopera), Proc. Acad. Nat. Sci. Philad. 12: 348. TL: USA, Pennsylvania. Lectotype: ANSP. male. stilpna Turner, 1925 (Acroclita), Trans. Proc. R. Soc. S. Austral 49: 55. TL: Australia, "Tasmania, Cradle Mountain". Holotype: ANIC. female. subaequana Zeller, 1875 (Phoxopteryx), Verh. zool.-bot. Ges. Wien 25: 254. TL: USA, Maine/Massachusetts. Holotype: BMNH. unknown. subarcuana Douglas, 1847 (Anchylopera), Trans. ent. Soc. Lond. 5: 21. TL: United Kingdom, Great Britain. Syntype(s): Unknown. unknown. synomotis Meyrick, 1911 (Acroclita), Proc. Linn. Soc. N. S. W. 36: 238. TL: Australia, "New South Wales, Sydney". Syntypes: BMNH. female. tenebrica Heinrich, 1929 (Anchylopera), Proc. U.S. natn. Mus. 75: 17. TL: Canada, "Alberta, Bilby". Holotype: USNM. male. thalera Meyrick, 1907 (Anchylopera), J. Bombay Nat. Hist. Soc. 18: 142. TL: India, Khasi Hills. Lectotype: BMNH. male. tineana Hubner, [1796-1799] (Tortrix), Samml. Eur. Schmett. "7: pl. 13, fig. 81." TL: Europe, Syntype(s): Unknown. unknown. torontana Kearfott, 1907 (Proteoteras), Trans. Am. ent. Soc 33: 50. TL: Canada, Ontario. Holotype: AMNH. male. transientana Filipjev, 1926 (Ancylis), Archiv f. Naturgesch. (A)91 (1925): 117 TL: Russia, Holotype: Unknown. unknown. tryssops Razowski, 2012 (Ancylis), Polskie Pismo Entomol. 81: 146. TL: Democratic Republic of the Congo, "Bas-Congo, N. R. Luki-Mayumbe". Holotype: RMCA. female. tumida Meyrick, 1912 (Ancylis), Exotic Microlepid. 1: 30. TL: Sri Lanka, Ceylon [Sri Lanka] (Kandy). Holotype: BMNH. male. uncella [Denis & Schiffermuller], 1775 (Tinea), Syst. Verz. Schmett. Wienergegend : 136. TL: Austria, Vienna. Syntype(s): Unknown. unknown. carbonana Heinrich, 1923 (Ancylis), Bull. U.S. natn. Mus. 123: 248. TL: USA. "Pennsylvania, Scranton". Holotype: AMNH. male. subuncana Krulikowsky, 1907 (Ancylis uncana var. ), Rev. Russe Ent. 7: 33. TL: Russia. Syntype(s): Unknown. unknown. unculana Haworth, 1811 (Tortrix), Lepid. Br. (3): 453. TL: United Kingdom, Great Britain. Syntype(s): BMNH. unknown. derasana Hubner, [1811-1813] (Tortrix), Samml. Eur. Schmett. "7: pl. 32, fig. 206." TL: Europe. Syntype(s): Unknown. unknown. unguicella Linnaeus, 1758 (Phalaena (Tinea)), Systema Naturae (10th ed.) : 536. TL: Europe, Syntype(s): Unknown. unknown. albida Orstadius, 1932 (Ancylis unguicella ab. ), Ent. Tidskr. 53: 108. TL: Sweden. Hrnsand. Holotype: Unknown. male. cuencana Caradja, 1916 (Ancylis unguicella var. ), Dt. ent. Z. Iris 30: 71. TL: Spain. Cuenca. Lectotype: MGAB. male. falcana Hubner, [1796-1799] (Tortrix), Samml. Eur. Schmett. "7: pl. 13, fig. 78." TL: Europe. Syntype(s): Unknown. unknown. plagosana Clemens, 1864 (Anchylopera), Proc. ent. Soc. Philad. 3: 417. TL: Canada. Labrador. Lectotype: ANSP. unknown. unicolor Orstadius, 1932 (Ancylis unguicella ab. ), Ent. Tidskr. 53: 108. TL: Sweden. Vxj. Holotype: Unknown. male. vappana Hubner, [1814-1817] (Tortrix), Samml. Eur. Schmett. "7: pl. 38, fig. 241." TL: Europe. Syntype(s): Unknown. unknown. upupana Treitschke, 1835 (Phoxopteris), Schmett. Eur. 10: 120. TL: Germany, Lectotype: TMB. female. castaneana Peyerimhoff, 1863 (Phoxopteris), Bull. Soc. Hist. Nat. Colmar 3 (1862): 122. TL: France. Syntype(s): Unknown. unknown. ussuricana Trematerra & Li, 2009 (Ancylis), Boll. Zool. Agric. Bachic. (II) 41 (2): 67. TL: Russia, "Far East, Ussuriysk R., Gornotayozhnoe". Holotype: TREMC. male. vehemens Razowski & Pelz, 2011 (Ancylis), SHILAP Revta. Lepid. 39: 45. TL: Ecuador, "Pichincha Province, 7 km NW Mindo, Sachatamia". Holotype: SMFL. male. ventriverticalis Zhang & Li, 2008 (Ancylis), J. Nat. Hist. 42: 1808. TL: China, "Wenxian, Gansu Province". Holotype: TNHM. male. virididorsana Moschler, 1891 (Phoxopteryx), Abh. Senckenb. Naturforsch. Ges. 16 (1889): 334 TL: Puerto Rico, Holotype: MNHU. unknown. volutana Meyrick, 1881 (Palaeobia), Proc. Linn. Soc. N. S. W. 6: 663. TL: Australia, "Victoria, Warrangul, near Gippsland". Holotype: BMNH. female. youmiae Byun & Yan, 2005 (Ancylis), Zootaxa 1103: 18. TL: China, "Heilongjiang, Laoyeling". Holotype: NFUH. male.